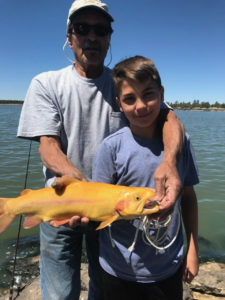 KAIBAB LAKE — Fishing has been good to excellent on Kaibab with folks catching trout on worms fished under a bobber early in the day. PowerBait fished on the bottom was also working. Folks using spinners were also catching fish. Catfish were being caught on nightcrawlers and prepared catfish baits. The crappie and bluegill are also hitting on the upper end of the lake. Over 40,000 trout have been stocked in the lake this year. CATARACT LAKE — No report. Stocked with catfish. I heard folks are catching fish on the lake. CITY RESERVOIR — Lake is open. Stocked with trout yesterday. Stocked with catfish last month. DOGTOWN LAKE — Fishing is starting to pick up on Dogtown Lake with folks catching trout on PowerBait. Stocked last week. SANTA FE — Lake is open. WHITEHORSE LAKE — Whitehorse was stocked with largemouth bass in March. The fish stocked were 5-8 inches long. The minimum size you can keep bass in Whitehorse is 13 inches. 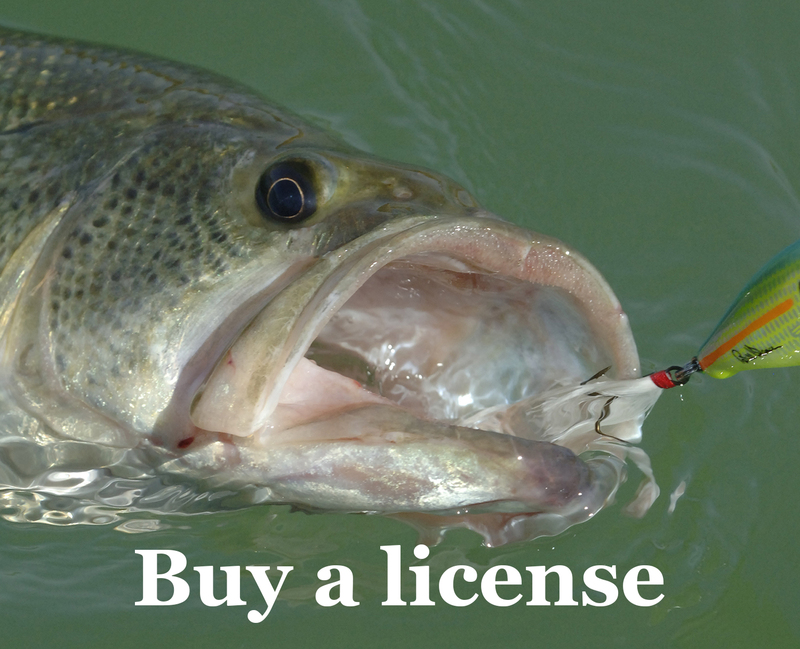 Please release all of the bass caught this year so we can get them established. More bass will equal bigger crappie in the long run. LOWER LAKE MARY – No water. UPPER LAKE MARY — No report. ASHURST LAKE — Since the monsoon rains have started, fishing has slowed down some on Ashurst. We are still seeing some nice-size trout being caught on PowerBait with garlic PowerBait. rainbow PowerBait and cheese PowerBait being the most productive. Most of the fish we have been seeing recently are 14-18 inch fish with just a few fresh stockers mixed in. The lake was stocked yesterday. Angler Report: A guy came in with this picture of a trout caught in Ashurst in the last couple of weeks. The gentleman who caught it was named Jimmy. Bryce Sisson at our Tonto Creek Fish Hatchery said this is rainbow with a genetic mutation that causes the yellow color. Several states raise these rainbows in their hatcheries and stock them as incentive fish. They are frequently known as lightning trout, palomino trout or golden rainbows. FRANCIS SHORT POND – Folks are still catching fish with bluegill and black crappie being caught most often. KINNIKINICK LAKE — No reports. OAK CREEK — No report. Stocked last week. Stocked this week. BEAVER CREEK – Has been stocked. WEST CLEAR CREEK – Has been stocked. BLUE RIDGE — Lake is closed. KNOLL LAKE — Lake is open and was stocked. An updated report hasn’t been posted on the wayneswords.com website yet. See the latest reports.